I am having a very aromatic afternoon right now as I sit in my living room, softly sniffing a number of essential oils that I bought this summer. They were a bit of an impulse purchase, after having walked into a friend’s home where she was using a vaporizer to spread the scent of peppermint oil throughout the house, which created quite the pleasing aroma. My bestie and her husband have four children, and still the house always has this very tranquil aura. I often ponder what their secrets are, and I began to associate the peace of the place with the spread of essential oils. Clearly, I thought to myself, if the scent of peppermint were wafting around my classroom, my students would present a good deal more Zen energy, right? So, now here I sit with the very pleasant fragrance of cinnamon bark mingling with lemongrass on my fingertips, being mindful to not start devouring my fingers (there’s a reason my nickname is Jaws), further pondering the potential of essential oils, on a mission to see what other sources may have to say about their potency. 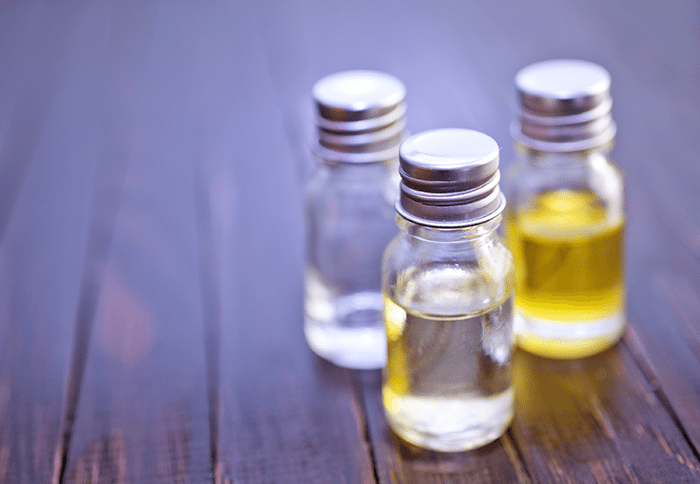 While the number of studies on essential oils is limited, the Mayo Clinic explains that “Aromatherapy is thought to work by stimulating smell receptors in the nose, which then send messages through the nervous system to the limbic system — the part of the brain that controls emotions.” That some studies have shown that essential oils may help relieve stress and depression may be one reason that Forbes magazine featured an article about ‘“Think Tank” spa treatments”’ that are being used at a number of finer hotels to help their guests “boost brain stimulation” and distress. The article names five different oil scents and details what they are used for at the spas. Peppermint is used to boost mood and increase concentration at the Sheraton Puerto Rico Hotel and Casino and it happens to be an essential oil that I purchased this past summer. It could be the power of persuasion, but I felt pretty scattered as I sat down to write today, and after placing the peppermint under my nose so that each deep inhale brought it to circulate through my lungs, there has been a notable shift in my restlessness. When I reacquainted myself with the oils today, I was wondering what exactly I was going to do with all of them. In addition to dropping them directly onto your skin, there are a number of other uses for essential oils. According to the National Association for Holistic Aromatherapy, you can use them to make massage oils, add them to unscented lotions and add them to your bathwater. Several sources also use them internally, adding them to your water or putting them in your recipes, substituting powdered cinnamon for cinnamon essential oil, for example. While my research has not lent itself to a great deal of conclusive findings, the friends who regularly use them, and my limited experiences, lead me to want to experiment with them further. I have seen a physical difference in the appearance of my skin when using tea tree oil on blemishes and my yoga mat has evaded mold growth despite sweaty sessions as I regularly clean it using the Oh, She Glows yoga mat cleaner. I am certainly intrigued enough with the effect of this peppermint essential oil today to try it out with my students in class this week. If your interest has been piqued, I encourage you to find your nearest essential oils consultant and conduct some of your own experiments to see how the oils may aid in your concentration, stress levels and general health and well-being. It seems they are as essential as you find them to be in your own experiences. As many essential oils are not regulated by the Food and Drug Administration, I caution you to be mindful of where you might purchase them. Just as all kinds of chemicals and additives can be slipped into our food, this can also be the case with essential oils. Three ethical essential oil companies that my research revealed are Rock Mountain Oils, Young Living Oils, and dōTERRA. Now my aromatic afternoon has given way to an aromatic evening as I am heading to bed, putting a bit of my Dreamtime essential oil on my temples and allowing the earthy sandalwood scent to slide me towards the sandman. I already feel more Zen. It is super unsafe to put essential oils directly on your skin. Substituting powdered cinnamon for a cinnamon essential oils is not the same. Essential oils are highly concentrated volatile compounds extracted from whole or parts of plants — tree resins, flowering shrubs, peels of citrus fruits, grasses, etc. A distiller may use hundreds of pounds of plant material and get only a pound of essential oils! For instance, it takes 50 roses to make ONE drop of essential oil. One drop could be the same as drinking boxes of tea make from that herb. You would not drink 16 or 32 bags of any herb in a day, so you should not drink a drop of essential oil! Science tells us oil and water do not mix. What sources use them internally? That is also dangerous. The only person instructing someone to do this would be a certified aromatherapist with advanced training. even nurses and doctors who have received this training. I hope the consultant you are receiving your oils from is well informed and instructing you on how to use them safely. Each time I read posts about these practices I worry about the individual using oils that they may have been misinformed.